Humans aren't the only ones who use the trail. 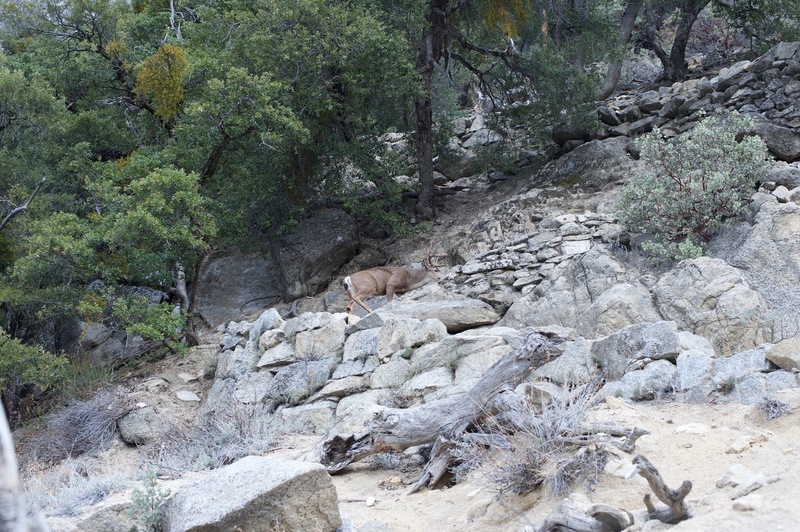 A buck uses the trail to get uphill. In the mornings, animals may use the trail vs going through the brush as an easy way to get to where they'll bed down to rest.